Don't Allow Your Managed IT Services Provider in Houston to Taint Your View of the Cloud! Don’t Allow Your Managed IT Services Provider in Houston to Taint Your View of the Cloud! There are multiple forms of services that you can obtain through your managed IT services provider in Houston. One of the most important solutions for the modern commercial set-up is cloud computing. This is an essential service which promotes business continuity and aid in disaster recovery. In simple terms, it allows your data to be backed up on a secure server, ensuring that your crucial data is preserved. In addition, the cloud solution is essential because it allows access to your company’s information from anywhere. If you are thinking about getting cloud services for your business or changing your existing cloud setup, you should first understand the different solutions provided by MSPs in Houston. In general, there are two primary forms of cloud services which are utilized by companies and non-profit organizations. These solutions are commonly referred to as total cloud and hybrid cloud. 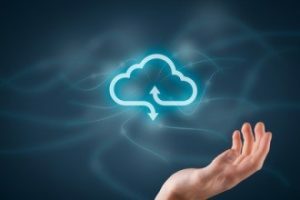 While both options are advantageous, there are some core differences to consider if you want the best cloud storage and computing solution for your operation. Total cloud is an ideal solution for companies because it allows storage and backup of data in servers in an offsite location. The physical environment, as well as the servers and other forms of hardware required to create the ‘cloud,’ are owned by the managed IT services provider. In addition, the cloud storage provider is responsible for the long-term management, security and data accessibility. Total cloud is also a suitable solution adopt cloud computing services such as Desktop-as-a-Service or Software-as-a-Service. Hybrid cloud solution uses a different and expensive approach in providing storage, back-up and computing services to businesses. The model involves using both the cloud storage provided by a managed IT services provider in Houston and an onsite server. Simply speaking, when you generate data during the normal operations, the digital material will be stored in your office server and also sent to the offsite server cloud. If you want to implement this type of cloud solution, you would need to purchase your own servers and other storage hardware. Total cloud solutions are considerably inexpensive, especially when compared to the hybrid solution. When you choose total cloud storage and computing, you will not need to purchase hardware for your business. The servers will be the property of your MSP, so you will only pay for the usage. On the other hand, a hybrid cloud solution is unnecessarily expensive because you must purchase hardware and also pay for the usage of the MSP’s server. The total cloud solution is also more scalable, so it is ideal for growing businesses. Basically, when you are using your MSP’s infrastructure as a service, you can increase your needs as needed. For example, if the number of clients increases significantly, you will only need to inform the service provider about the desire to scale up. With a hybrid solution, you will need to purchase servers with a higher capacity for ideal results. Typically, managed IT services providers in Houston that advocate for hybrid cloud are hardware sellers. If you want to save and learn more about the benefits of total storage, contact us at HoustonTech today. ← Don’t Allow a National IT Support Firm to Pretend They’re Local in Houston!